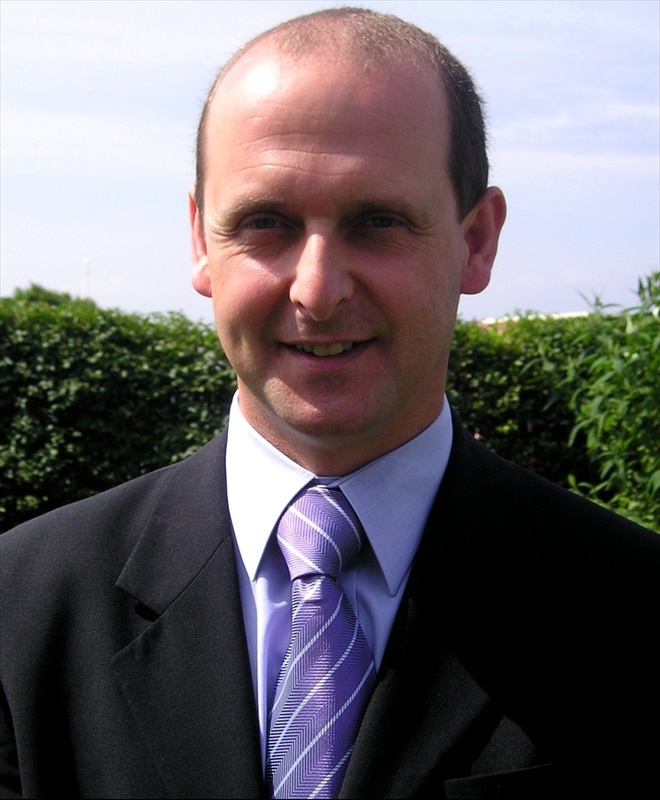 Hello, My name is John Coombes, former Leader of Fylde Borough Council, welcome to my personal website. Through these pages I hope to keep residents up to date with current issues affecting the residents and business community within the Borough of Fylde. I hope the site will become the news channel for people wanting to get the “real facts” behind some of the local and National news and in particular the facts behind the political decisions being taken that will affect us all. I’ll comment by sharing my views and analysis on the world at large and especially it’s political developments, or lack of them! Whether that is in Fylde or far beyond. It is now great to see the work at Ashton Gardens coming together and this project highlights the need for Councillors to sometimes take the long view sometimes rather than bend to public opposition for short term political gain. Fancy taking advantage of the superb regeneration of Ashton Gardens by setting up business there? Fylde Borough Council is looking for an innovative tenant to operate a café / restaurant in the Ashton Institute which is nearing completion and will be a centre piece for the historic park. With the construction due to be finished by the end of this year and internal fitting to be decided by the tenant ready for an opening in time for Easter 2010 this is a fantastic opportunity to grab a prestigious location for a new business venture. The Ashton Institute was an iconic landmark in the park before it was painstainkinly dismantled for storage. The regeneration of the park, amongst other major projects, is seeing the building being completely rebuilt as per the original plans, something that those opposed to the Gardens Lottery bid said would never happen! It is accompanied by extensive seating areas outdoors and currently has a license application pending, to allow people to have a meal and a drink in the sunshine. After discussions with interested partners the cabinet portfolio holder gave notice of her intention to withdrew the application for a “carry out” licence for the cafe. The ground source heat pump which will provide the heating for the institute is also now in place. This was another great example of working with a Town Council for the benefit of the community with the St Annes Town Council being able to bid for funding which Fylde Council could simply not apply for. My Colleague Roger Small, Cabinet Member of Finance and Resources, said: “The work on Ashton Gardens is extensive and we are all eagerly waiting to see the end result next year when it is completed. The institute was famous for being a focal point to the park and a place where the local community could meet for various activities. The aim is to recreate this to boost the enjoyment of the park. The council is looking for a tenant that will use their initiative to set up the café / restaurant as well as welcoming community uses for the building and also work with the council to organise events in the park. The cost of the rental is just £18,500 per year. The building has yet to be assessed for rates but business rates as well as water and environmental charges will be payable under the terms of the lease. The Town Hall St Annes will become the venue for the official launch of the live monitored CCTV that has recently been installed in the town centres of St Annes and Kirkham. The formal switch on will take place on the 4th September and is the culmination of many months of work by Fylde Borough Council and its partners on the Local Strategic Partnership (LSP) & Community Safety Partnership. The new system, which replaces the rapid deployment cameras, has a ‘real time’ monitoring facility. This means that images from the cameras are now instantly beamed back to the Blackpool CCTV control room, where operators monitor what is happening live on the ground and when necessary take appropriate action. The town centre rapid deployment cameras will now be re-deployed into the rural and more isolated areas of the Borough giving even greater coverage. Conservative Councillors fought the 2003 District Council elections with a manifesto that included the committment to more CCTV cameras for the Borough. I am delighted that FBC has been able to play it’s part in making this happen and that we can now start to reduce the fear of crime whilst at the same time show we are keen to reduce anti social behaviour and take legal action against anyone caught braking the law in the Town Centres of Fylde. Readers of the blog who also take the local papers will no doubt be aware of the recent negative campaign being waged by certain Councillors in their constant attempt to undermine and de-stableise Fylde Council. Recent comments made in the letter pages of both the Lytham St Annes Express and Blackpool Gazette do nothing but put Councillors in a bad light. In a time of economic downturn, with people loosing their jobs, shops and businesses closing surely their are more constructive debates to be had both in the Council chamber and the columns of the local papers? The latest tactic being deployed is the “rumour mill” Apparently the opposition know my thoughts and decisions even before I have made them. Perhaps a “senior tory” may be tipping them off? I think not! Well they need to get their facts from the horses mouth as the latest rumour about me handing in my resignation is pure mischief making. There is far too much to do and so many positive projects on the near horizon to be dealt with to be stepping down at this time. However as in any well run organisation the Conservative Group has an Annual General Meeting where it decides on it’s senior officers for the forthcoming year, if I decide to stay and more importantly if they want me too, I will be happy to continue working hard for them and the community. Whatever happens the Community will be first to know about it, not opposition members! Readers should be aware that at present political parties such as the Liberal Democrats and local anti conservative pressure groups are working hand in hand with so-called Independent Councillors to develop an anti Conservative propoganda campaign for simpe electoral gain. These negative, personalised attacks do nothing but “turn voters off” They may deny it, but I can assure you that those people (and we all know who they are) will be standing for election in some shape or form in future elections, against Conservatives. There is no such thing as an Independent, every one has a political allegiance. The sad fact is, that in Fylde, those people who support the national parties of Labour, Lib Dem, UKIP etc think that they stand a reduced chance of being elected if they come clean about their political persuasion – therefore they stand as Independent or anti conservative as I prefer it. It’s time to draw a line under the recent smear campaign waged by certain Opposition Councillors, the use of the Standards committee as a political weapon and the constant mischief making in the press, it does no one any good in the long run. I felt I must respond to the recent Lytham St Annes Express article through my blog as I was not asked to comment in the report. I feel I must do so as it’s content is far from accurate and again is driven by a deliberate campaign being waged by Cllr Hayhurst to undermine the Council. The Notice of Motion (NOM)put forward by Cllr Hayhurst was a political stunt to resurrect an issue which was put before members over two years ago. The Councils Chief Executive has issued a full report on the reasons surrounding the departure of the Director of Streetscene and that the report makes it clear that his departure was nothing to do with any financial impropriety. The Streetscene overspend was £309,000 NOT the £1.6 million which Cllr Hayhurst constantly uses to sensationalise this matter. This figure came about from external financial pressures faced by the department which were unavoidable. The Express mentioned some of these pressures in their article but the key items of overspend came from vehicle repairs, diesel increases, overtime and insurance losses from the Poulton vandal fire. This single overspend did not lead to the closure of the St Annes Pool, although I admit, it did not help, it was a combination of external pressures such as the bill for the Concessionary Bus Travel which forced this decision. All 51 Councillors have been given an opportunity to view the full independent report by the CX at any time. All but a handful of elected members have taken the time to read it. The report cannot be made a “public” document for internal/contractual reasons only. Cllr Hayhorse mentions a “Yes Minister” script on this issue and the news report says that Officers and ruling Conservatives did not respond. This I need to clarify. The constitution of the Council “Does Not” allow Councillors to debate a NOM unless the NOM mover asks for a vote at the meeting, for it to be heard – Something Cllr Hayhurst did not request! Therefore the Mayor referred the matter to committee. I would have been more than happy at the meeting to have put him right on this matter and to have had to opportunity to verbally correct his misleading comments. I can assure readers that this matter has been fully investigated, lessons learnt and processes put in place across the Council to ensure that potential overspend risks are identified quickly to avoid the risk to Council services in future. I fully accept and expect opposition Councillors to oppose policies and decisions of the ruling Conservative administration, however, it is both disappointing and destructive when they deliberately use the media to misrepresent the facts. Councillor Hayhurst has stated in public that “he would rather see the ship sink, that it become a success without himself at the helm” This is a shameful stance for a former Council Leader to take and shows a blatant disregard for both the Council organisation and the job he has been elected to do. I urge readers to ponder on these facts whenever they read stories generated by Cllr Hayhorse and I assure them that the Council has nothing to hide in respect of any aspect of it’s operations, personnel or financial Management. In 2007 the conservatives resolved to refursbish the key public convieniences across the Fylde, modernising the key locations with new modern DANFO operated toilets, and upgrading and increasing the cleaning regimes for those exisiting sites that were deemed to still be accpetable. At a time when local Authorities across the UK were closing their toilets Fylde came up with a scheme for joint working with Blackpool and Wyre which secured our commitment to Public Toilets at a cost effective price. One site, where with hindsight , we made a mistake was with Fairhaven Lake. When we carried out a footfall excercise, the results showed that the greatest demand was for the toilets at the Stannah Bank Car Park end of the Lake. With that in mind, as well as the implications at the time for DDA compliance and the poor state of repair of the units next to the bowling greens we decided to proceed with modernising the Car Park units and closing the Cafe toilets. However after two seasons it has become obvious that we need to provide additional facilities at peak times for visitors. Therefore the portfolio holder for streetscene has been working with his team to find a solution. David and his team have and now these toilets will re-open during peak times whilst at the same time keeping the cost down for Council Tax Payers. I am pleased to report the toilets next door to the cafe at Fairhaven Lake will re-open from Thursday 30th July. The DDA compliant toilets will still be the Stannah Bank units and this will be included in new signs. It is vital that we provide such facilities and Iam delighted that we can, even at a time when Government is insisting that we shed as many Non-Statutory services as possible. Although we have had to take the tough decision initially for closure, Conservatives at Fylde are finding alternative solutions even when our budgets are tight. I hope that this “relieves” the past problems that we have had at the lake and again re-enforces our commitment to ensuring that the Fylde retains as many quality services as we can, to help maintain the quality of place for both residents and visitors alike. At last nights Full Council Meeting I put forward 7 recommendations to the Council for confirmation and agreement. Many of them were previously agreed decisions on the Town Hall project but others I felt needed to be explored and agreed. Readers will be aware that the Town Hall project was first initiated by the Independent and Lib Dem Coalition in 2000 and has now been through three Councils to get to this stage. The current proposals which can be viewed at www.fylde.gov.ukare for the retention of the current Town Hall with a modern extension replacing the Chaseley Building at the rear of the Town Hall. The top two floors of theTown Hall will be re-developed into apartments with the ground floor being retained for Civic use. The cost of the scheme is 7.5 million pounds including VAT, which we will be able to re-claim! With the recent economic down turn we have decided to review the Council previous decisions and to widen the scope of possibilities to meet our future accommodation requirements. Again last night there was a heated debate between Conservatives and Independent and Lib Dem Councillors which again saw Opposition Councillors wanting the Councils Offices and Staff moving out to Wesham, Although the Council has already been told that the Derby Road site is un-suitable in it’s current form and would have to be totally re-built at a cost close to that of the current proposals. 1. That the Council re-affirms its commitment to securing ‘fit for purpose’ office and civic accommodation at the earliest opportunity. 2. That the Council not agrees to consider the potential of leasing or renting accommodation to meets its needs alongside the possibility of retaining ownership. Just a quick note to say I argued to retain the staff in St Annes in the face of opposition due to the fact that I feel it would be very damaging to the Square should we move over 200 staff out of the immediate area during the current climate. Independent Councillors said that we did not consider that when we moved staff from Wesham! I had to point out that the impact of moving just 14 staff from Derby Rd, many of which were not office based, did not have an adverse effect on the local economy – I’m sure readers will agree that moving 200+ and the significant number of visitors to the Town Hall from the Square would be felt. 4. That the five sites within the disposal portfolio, details in the report, be offered to the market once the related planning applications have been determined. Again I reinforced the point that this process was to gain valuations so that Councillors could decide if they wanted to dispose of them and for what purpose? Let me assure readers that these assets will not be disposed off if the valuations a low due to the current climate. 6. That a Cabinet sub-committee be established to replace and take over the remit of the Accommodation Working Group and that the members comprise of Myself, Cllr Small and an invitation be extended to Cllr Eastham from the opposition. 7. That a final report be brought back to a future meeting of the full Council before contractual commitment is given to the final format of the Councils office and civic accommodation project. Such a report to include the full financial implications for the Council, including current costings at the time. Again it is important to point out that the Council has been kept fully informed at every stage of the process and I have worked closely with their nominated representative Cllr Eastham. Surprisingly after almost an hour of debate the opposition again chose to abstain from any vote! It is vital that the Council gains value for money for this project to ensure that no cost falls onto the Council Tax Payer. The current accommodation is inadequate, energy ineffecient and not able to be used by the public. The new civic centre will aim to be as cost effective to runand maintain as possible, will have full access to the public for Community use and have fit for purpose offices which will enable us to adopt modern working practices to further improve services and efficiancey whilst at the same time giving our employees sound working conditions. To simply stay where we are and not build the extension would require a minimum investment of 2.5 million pounds to simply attempt to bring the Town Hall up to an acceptable standard, I believe this would be a short term solution and would be throwing good money after bad. A full refurbishmwnt of the current Town Hall is expected to cost up to 10 million pounds a figure far higher than we would be prepared to go. Having said that, if all the previous Councils since 1974 had simply put aside a sum and had a proper asset mangement programme for the Town Hall then it would not have fallen into the sad state of disrepair it is in today and we would not be facing such a tough decision! In respect of the planning applications to be submitted in August for our 6 sites: North Beach Car Park, the Former CVMU site, Adult Training Site, Public Offices, Wesham Offices and Town Hall these will be used simply to seek a valuation from the market. A positive decision towards these applications DOES NOT mean that the Council will agree to sell them. If the valuations fall short of what is required for this project then the Council may consider to lease their offices in the future. This would enable us to retain these assets until the market has recovered, allowing us to use remaining Capital Receipts to invest in Council infrastructure improvements across the Fylde. Fylde Conservatives last night proposed a full consultation to review Community Governance across the whole of Fylde Borough. The consultation was instigated by an application from St Annes on the Sea Town Council to increase it’s number of Councillors from 7 to 18. This request would require a Boundary Commission review and therefore it was seen as an opportunity to also review the size of the District Council whilst at the same time asking the Boroughs other Town and Parish Councils if they required any chances to their boundaries or structures.